1.4 In this policy, “we”, “us” and “our” refer to Tamar Vets Ltd. For more information about us, see Section 13. 3.8 We may process information relating to our customer relationships, including customer contact information (“customer relationship data“).The customer relationship data may include your name, your employer, your job title or role, your contact details, and information contained in communications between us and you or your employer. The source of the customer relationship data is you or your employer. The customer relationship data may be processed for the purposes of managing our relationships with customers, communicating with customers, keeping records of those communications and promoting our products and services to customers. The legal basis for this processing is our legitimate interests, namely the proper management of our customer relationships. 3.14 We may process any of your personal data identified in this policy]where necessary for the purposes of obtaining or maintaining insurance coverage, managing risks, or obtaining professional advice. The legal basis for this processing is our legitimate interests, namely the proper protection of our business against risks. 4.3 We may disclose profile data to our suppliers or subcontractors identified at www.campaignmonitor.com; www.virtualrecall.com; insofar as reasonably necessary to complete the contract between you and us and/or taking steps, at your request, to enter into such a contract. 4.4 Financial transactions relating to our website and services may be handled by our payment services providers, Lloyds Bank Cardnet. We will share transaction data with our payment services providers only to the extent necessary for the purposes of processing your payments, refunding such payments and dealing with complaints and queries relating to such payments and refunds. You can find information about the payment services providers’ privacy policies and practices at www.lloydsbank cardnet.com. 6.2 Personal data that we process for any purpose or purposes shall not be kept for longer than is necessary for that purpose or those purposes. Inactive accounts containing personal data will not be held past 10 years. (a) the period of retention of personal data will be determined based on our legitimate interest to retain it. 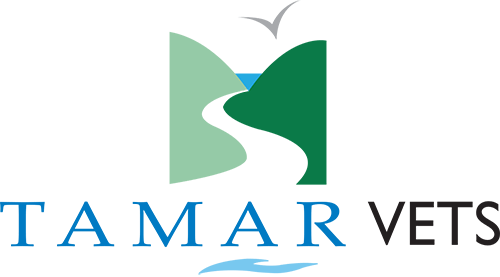 13.1 This website is owned and operated by Tamar Vets Ltd.
13.2 We are registered in England and Wales under registration number 06479763, and our registered office is at Tamar Vets, North Road, Bradworthy, Holsworthy, EX22 7TJ. 13.3 Our principal place of business is at Tamar Vets, 9 The Strand, Bude, Cornwall EX23 8QU. (d) by email, using the email address published on our website from 8.30am to 7pm.